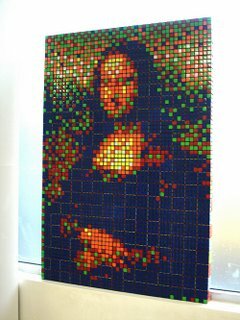 Here's Mona Lisa which was entirely created by the Rubik's Cube. Damn that is pretty freakin sweet. Where did you find that one.